Cancer sufferers find hair loss caused by chemotherapy difficult to deal with and bad for morale, but a wig may not be the answer, as one woman found when she was diagnosed with stage three breast cancer at the age of 27. Health and beauty blogger Julie, founder of Nice-based Les Franjynes, created an alternative that did not feel “like I was putting on a hat” every day. She missed going to the hairdressers’ and found “turbans [give] the sensation of hairstyling every morning. It really does have a therapeutic effect”. 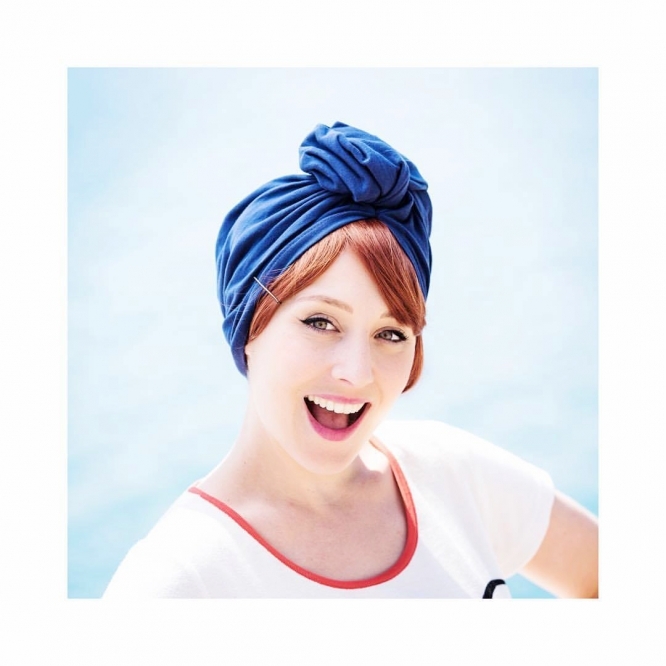 Her Les Franjynes (lesfranjynes.com) turbans have a small fringe to offer a hint of hair and now have a range of styles – “one for every day of the week,” said Julie – in a variety of colours, as well as fringes and head bands. Prices start from €40. There is also a range for children. Julie has recovered and her hair has grown back but she still wears turbans, as a fashion accessory.